Bathe your home in natural light! It's not always the easiest thing to create bright and open spaces in your home. This is especially true in many modern apartments where the maximum number of units takes priority above space, style and lighting. A house might also be much gloomier than what it seemed like before it was bought. So there are many lighting options, this is true. But it can also be difficult to find a lighting ensemble that does not feel too synthetic and harsh. This can become a conundrum when it comes to large spaces and rooms, as ever increasing light sources may be necessary in just the right places, and surely most people feel that tubular fluorescent lights are no longer an option when it comes to ambiance or style! Now we come to the best option—the optimal amount of natural light. Natural lighting fills rooms with more than augmented visibility. It bathes the surroundings in a warm glow that feels fresh and calming. This is not always a given due to the design of houses and their fixtures. Why don't we look at some not-too-difficult ways to make a home more conducive to natural light and to make the best out of it once it is inside. Open-plan living has many benefits reaching far beyond cost-effectiveness and maximum utilisation of space. The less walls and physical barriers there are in the interior of a house, the more freely natural light can move throughout all the spaces. This also solves the dilemma of distributing light evenly. The dining room might be surrounded by large windows whilst the living room has none. If it's all the same space, the problem is solved. Open-plans might create some challenges in having bland, uniform spaces, but this does not have to be the case. Think of it as a black canvas to be filled with imaginative solutions! Not only are windows the most widespread way to allow more natural light into a space, it is the most effective. Increasing the number of windows in a home, or enlarging existing ones, are excellent ways of allowing more light from outside to penetrate a building. It is also not the only method relating windows to do the trick—leaving existing windows bare and without curtains or blinds will already go a long way. In this picture we see a clever enhancement on the natural light that the window already brings. 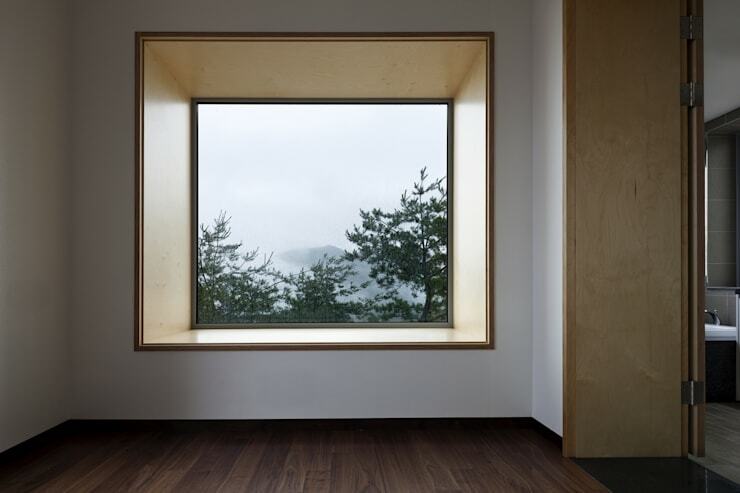 The indent of the window creates extended space available and increases the visual depth which the the light can fill. 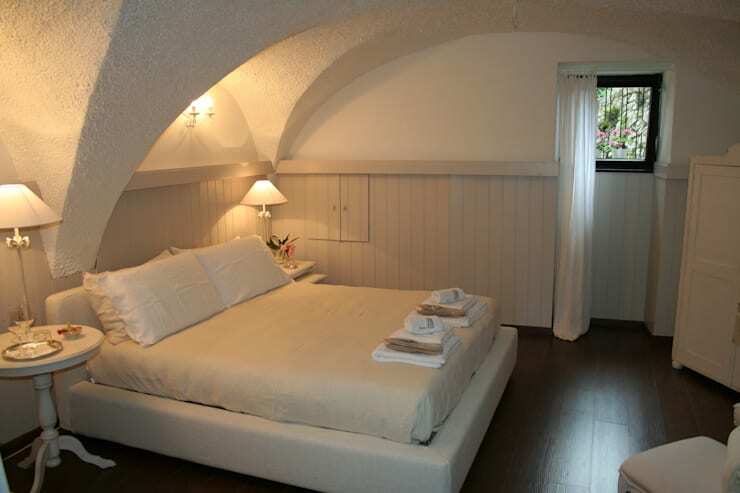 This can also be a useful space—when furnished with cushions it can be used as an alcove for relaxing or reading. If windows are great, why not try one in the ceiling? 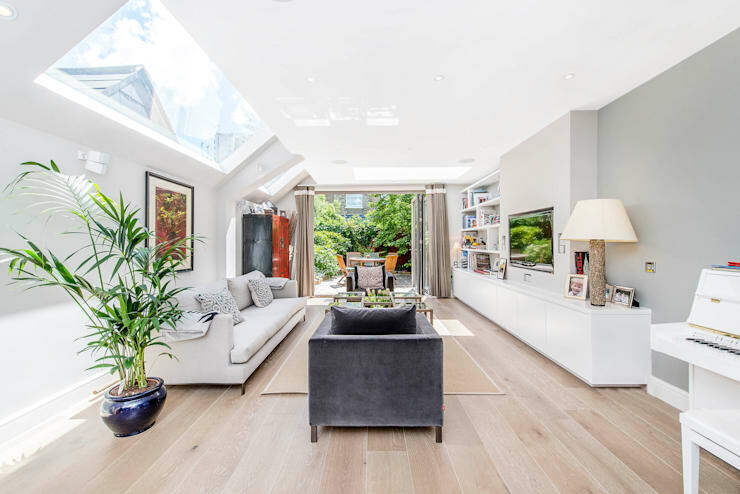 Skylights are a brilliant way in which to fill a room with natural light. If an architect or constructor is consulted, a skylight can be immensely beneficial in lightening up darker rooms. If a larger skylight is too expensive or not the right size for the area, there is another option. Tubular Daylight Devices (TDD's) are smaller glass tubes installed between the roof an the ceiling of a house to create a natural ceiling light. It is basically miniature skylights that are easier to install in any area. Form more on skylights and its uses take a look at: Is a Skylight the Best Option to Brighten My Home? Now we get to about the most cost-effective and generally effective way in which to distribute natural light all over a room and throughout a home. 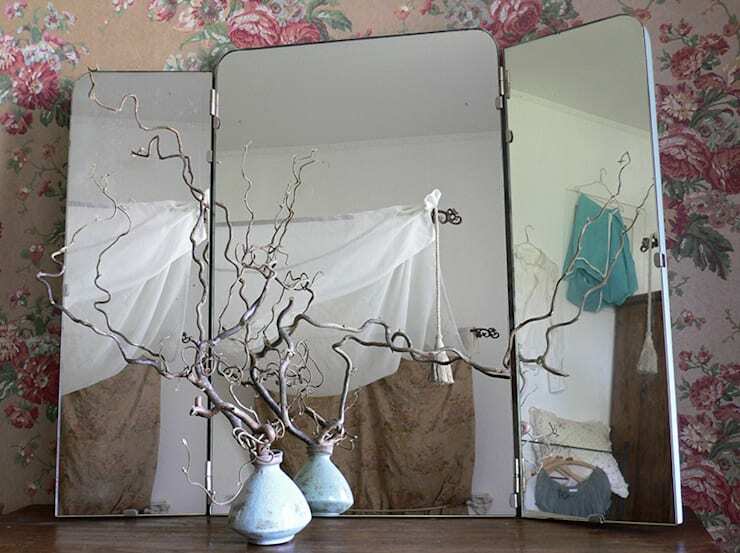 Mirrors can easily be places almost anywhere in a space and it will reflect whatever light comes its way, filling every last unobstructed corner. Combining this inherent light-reflecting benefit of mirrors with a clever strategy can multiply the positive results. Tactically placing a mirror across from a window will directly reflect all natural light which enters the room and expand its reach. The best option would thus be to place mirrors across from those windows which are the largest or let in the most light during the day. 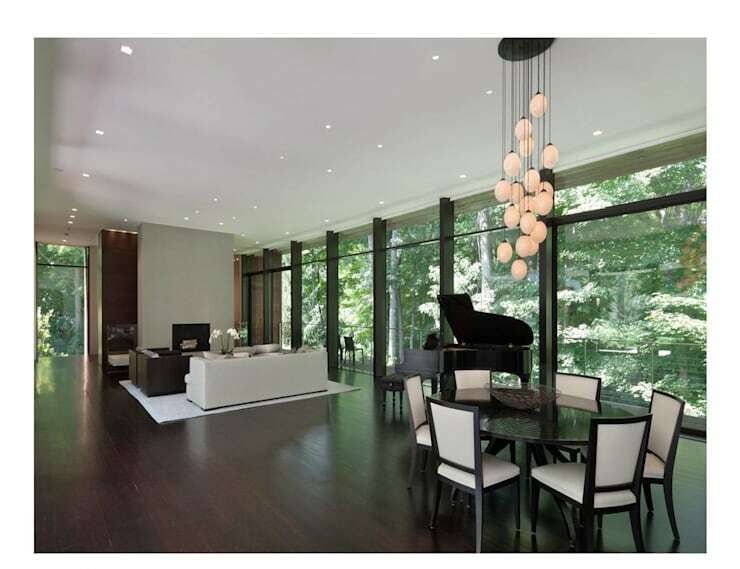 Glass walls—an ever-increasing presence in modern homes. Glass has been favoured in construction for its aesthetic value as well as strength and durability if manufactured correctly. It is also popular due to its versatility and one of its many uses include increasing natural light in a space. If a house is constructed in large, flat forms (as many modern houses are), glass walls can ensure whole spaces filled with natural light. 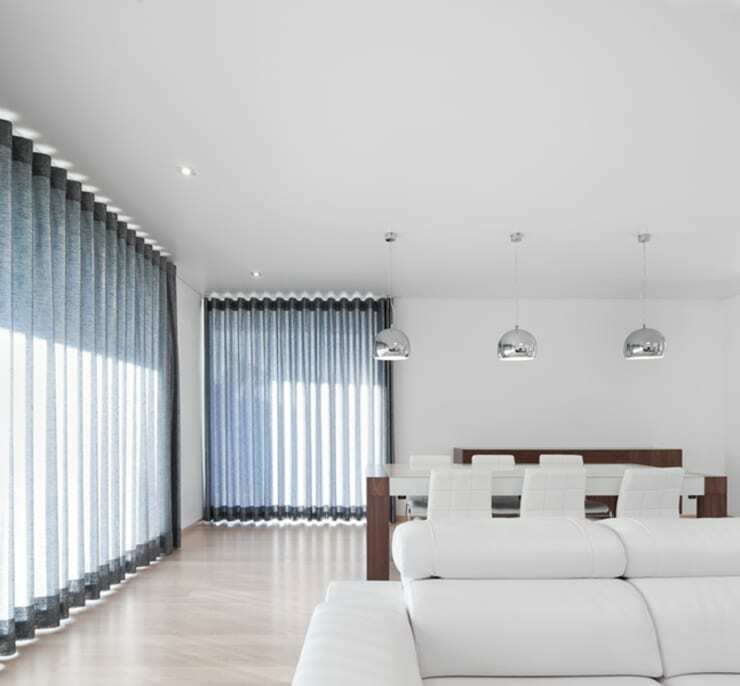 In big, open-plan areas, for example, only one side of the house needs to equipped with a glass wall, since this will allow in sufficient natural light to compensate for no other window or opening on other sides of the space. This does not compensate for ventilation though, and such a design must be overseen by a professional. A lesser known way of optimising the natural light in a home is the use of appropriate textiles. This will include the type of textile, colours in which it is presented, and textile textures. White and neutral-coloured textiles will understandably be the best. The light colours reflect natural light instead of absorbing it as dark colours do. This does not mean white and sand is the only options, but more neutral hues of blue (like the blue-grey in this picture) can work perfectly. Glossy textile may be ideal for reflecting natural light in a room, but this can easily become tacky and lacking style. Rather opt for soft, cotton-like textiles which, although it is matt, reflect and expand light from its surface. The gentle appearance of such textiles will also not strain the visual space and allow light to permeate. In addition, light textiles which are textured provide more surface area from which natural light can be reflected from. Quilts and similar textured bedspreads might thus be a great idea to reflect light in the bedroom. Colour can have a major impact on how much light there is in a room and how it is reflected. Our first port of call when it comes to colour(lessness) and light is, of course, white. There is not wrong way to go with white and light. They are two peas in a pod. Best friends. As mentioned before, white reflects light instead of absorbing it, and whole white spaces will work the best. Ceilings, walls and even floors can be painted white to make best use of natural light in dark or confined spaces, and smaller furnishings can bring in colour. What do you think is the best way to optimise natural light in your home?